Spread the cost from only £104.88 a month with Interest Free Credit. 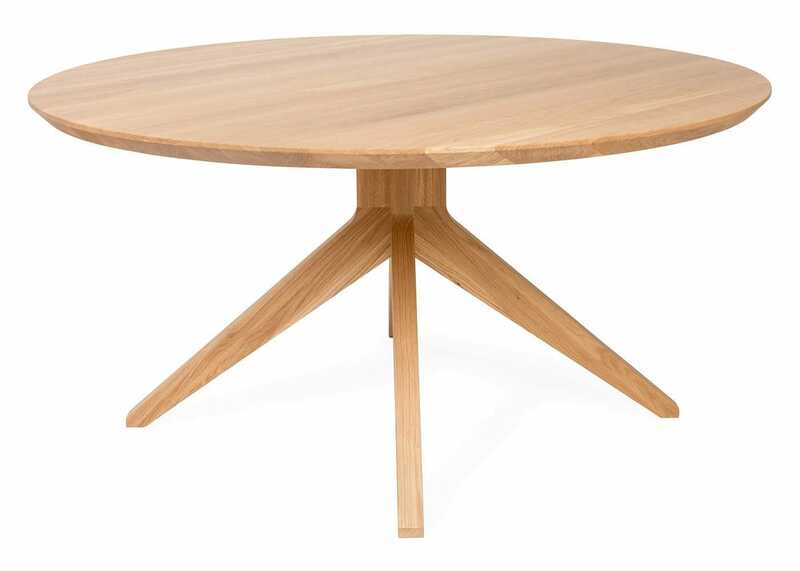 The Cross Round Table by Matthew Hilton for Case is a distinct design that accentuates a very timeless look adorned by its fine details. It combines comfort with functionality while creating a contemporary piece of furniture to invest in your home. 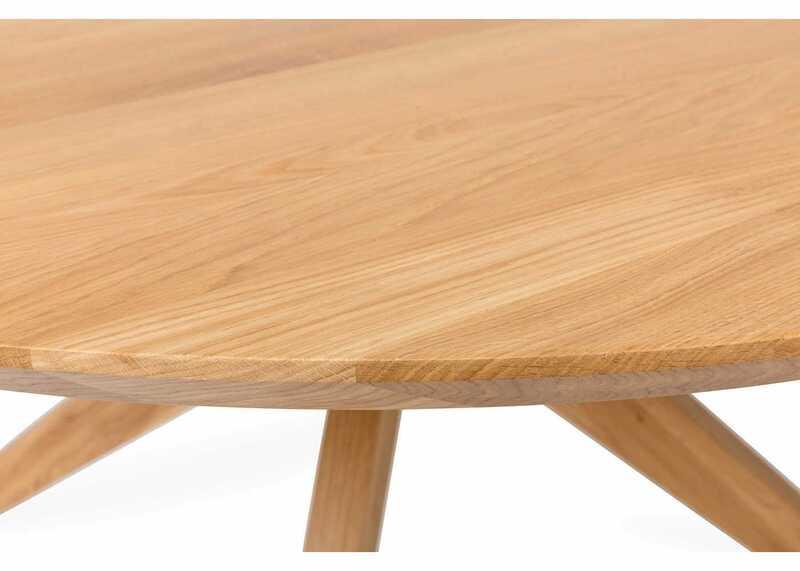 The unique lines and shape of this table makes it a very expressive piece making it the perfect centre piece in your room. 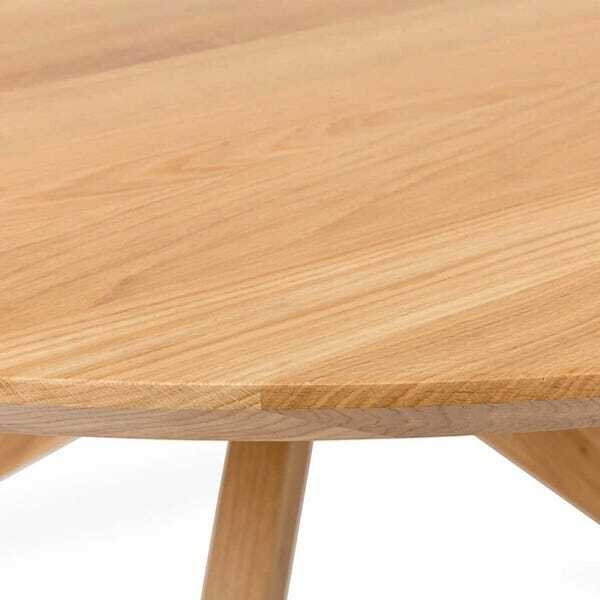 Made of solid wood, the table is complemented with a chamfered edge detail, which gives a lightweight and simple aesthetic. Hilton's signature splayed leg design provides an impressive amount of legroom and stability for a comfortable dining experience. 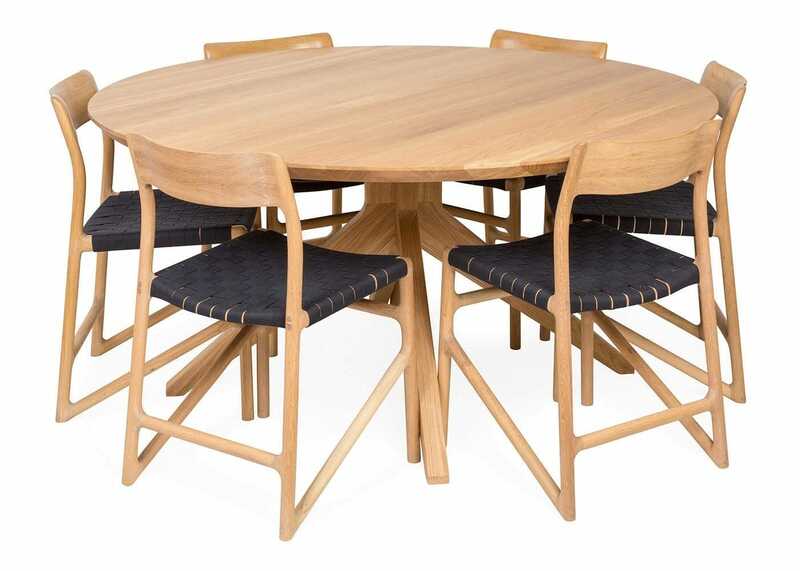 With a sizeable sitting arrangement of 8 people around 1.5m table top, it is robust enough for family dining and even the smallest dinner parties. Comfortably seats 6 to 8 people, perfectly suited to family dining or small dinner parties. 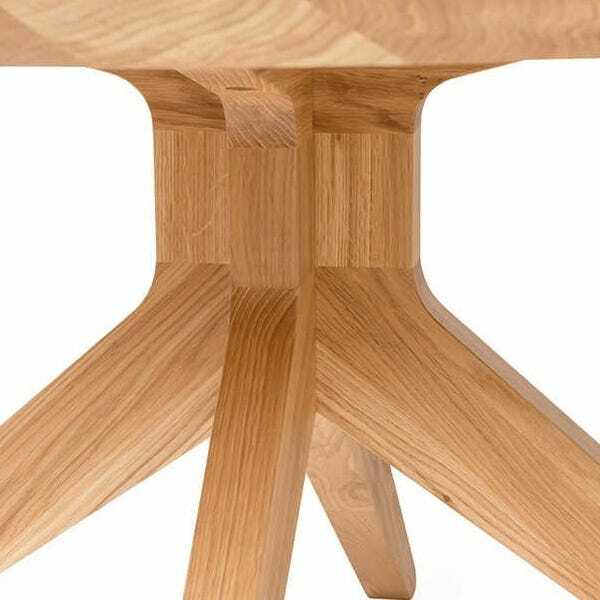 Clear lacquer finish allows the natural warmth of the wood to come through, and requires minimal maintenance. 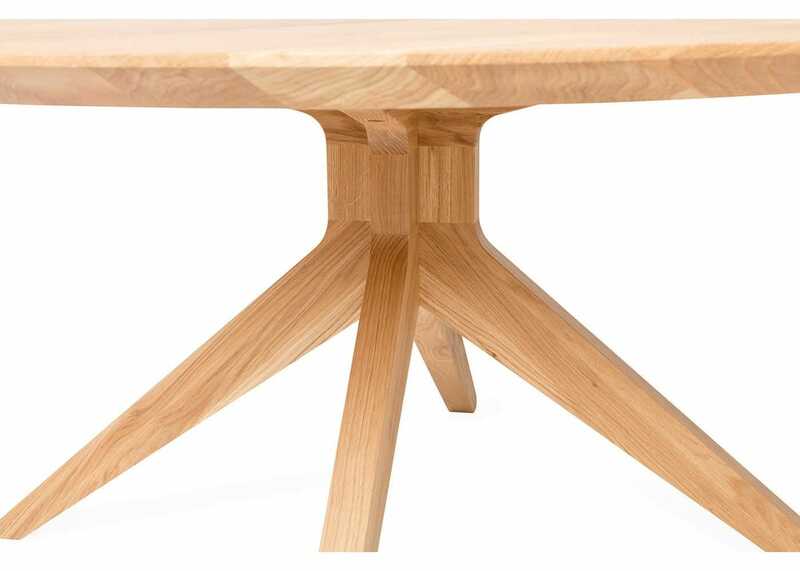 Made from solid wood it features a large table top and pedestal style base, designed to offer ample leg room and stability. 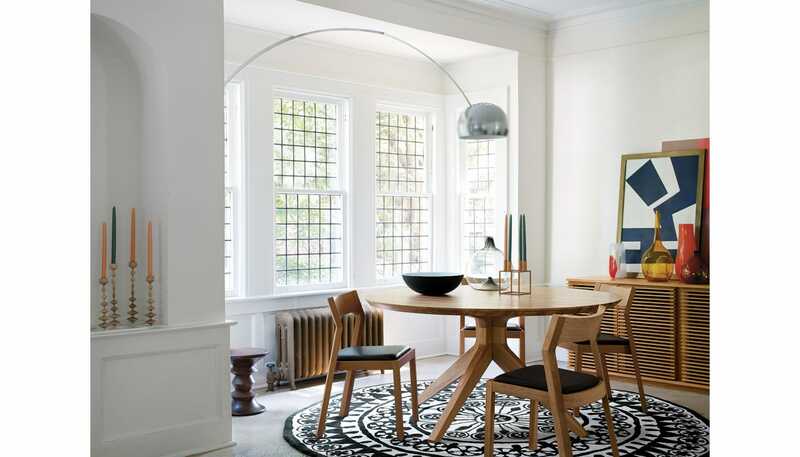 Pairs perfectly with the Profile Chair by Matthew Hilton. 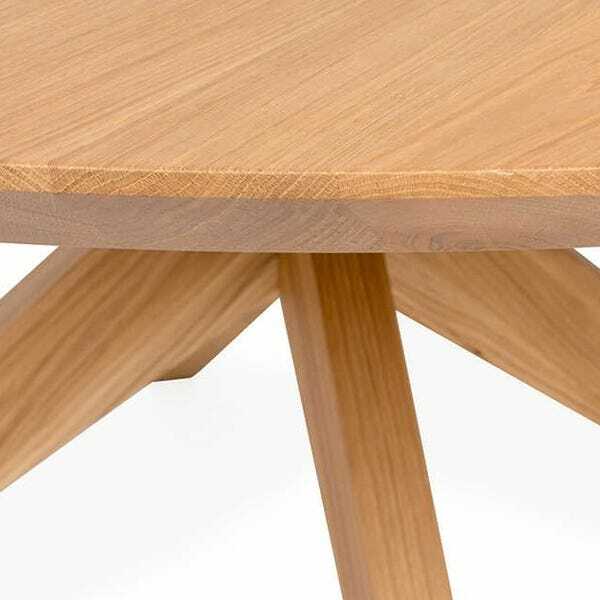 Table made from solid wood, with a clear lacquer meaning the table requires little maintenance. 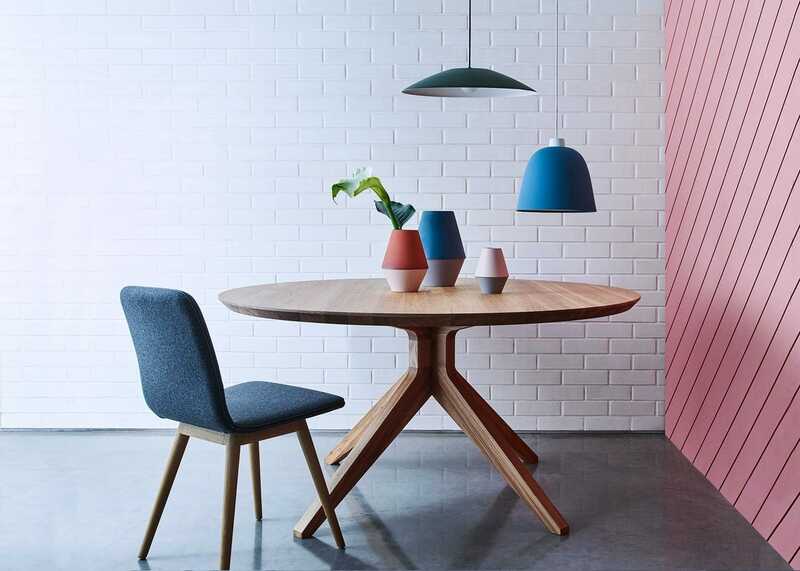 Chamfered edges provide a lightweight and simple aesthetic. Pedestal style base is in-keeping with the Cross collection and helps provide ample leg room. 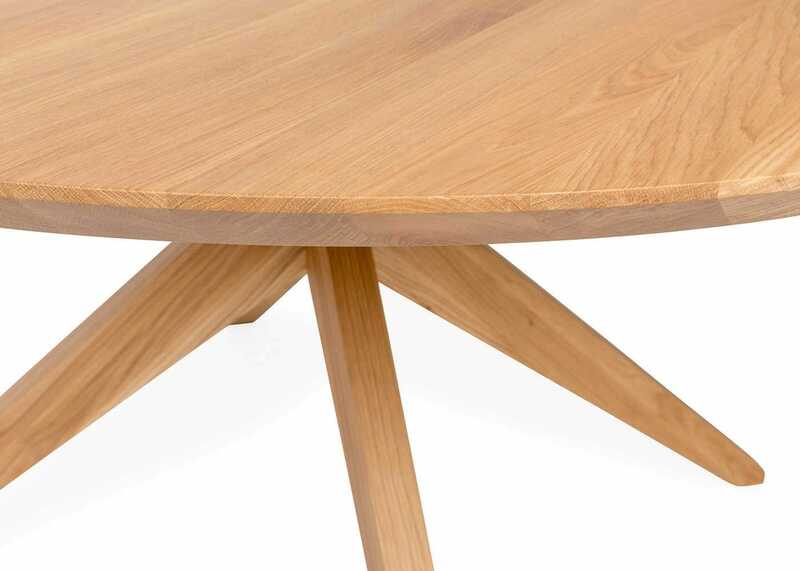 Solid Oak with clear polyurethane lacquer.